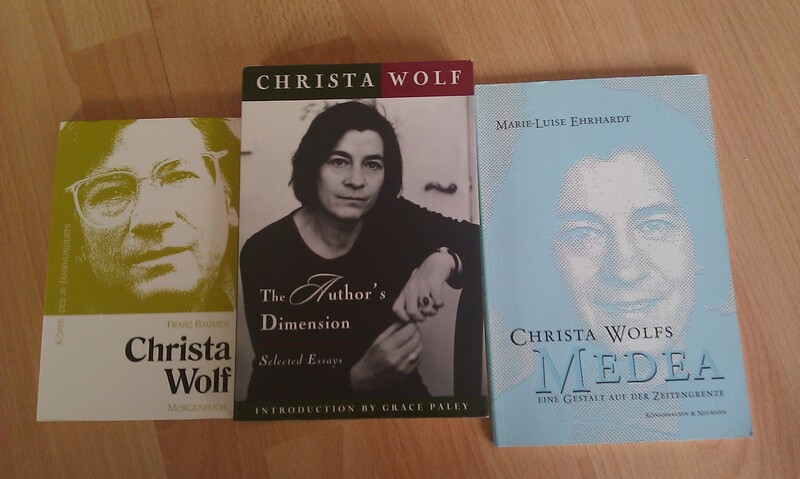 My husband just broke the news to me over the phone: “Did you hear that Christa Wolf passed away?” He knew it would move me…I wrote my Master´s thesis on one of her books: Medea, using theories of new historicism and feminism to look at the de-mythology of the woman and the new perspective on the GDR. It´s strange how we become attached to writers we never met, never interacted with. Christa Wolf had an adventurous and controversial life. Her books have been part of me during my Graduate Studies. Medea retells the myth from a different perspective, with the woman in the middle point becoming a tragic heroine instead of a murderer, adding dimensions of power and politics, love and passion…The characters, the story are multi-dimensional and their own voices tell us how it has happened. Some critics have seen this book as a way for Christa Wolf to defend herself against what has been said about her past…It is more than this. It is a beautiful and dramatic re-telling of the past to teach us about the present. Thank you Christa Wolf for having made me thought for hours, for having been a topic of conversation during and after classes, for having tickled my critical mind and for having transported me into a world of words I did not know existed. Previous postWhat´s the best book(s) you read in November? I LOVED this. Writers that we’ve never met can certainly make as big of a difference as people we know. Thanks Peggy 🙂 Writers and stories can have indeed a lot of influence on people…Have a lovely week-end! Thanks Kerri! I do believe as well that we all touch people in a certain way, influence them, inspire them, guide them or help them even without realizing it 🙂 Hope you´re enjoying your week-end!